Proceed down Howe Street and drive over the Granville Street Bridge. The first major intersection after the bridge is West Broadway Street. Make a left hand turn onto West Broadway Street. Follow West Broadway Street to Oak Street. Make a right turn onto Oak Street. Drive over the Oak Street bridge. The Oak Street bridge will become Hightway 99 South. 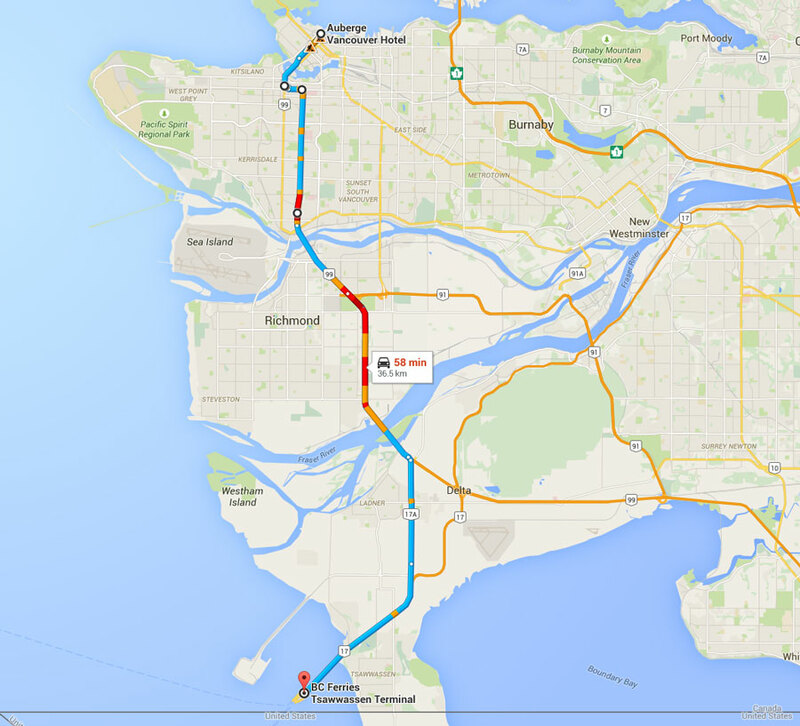 Follow Highway 99 South and drive through the George Massey tunnel. After exiting the George Massey tunnel, take the second exit called “Tsawwassem Ferry Terlminal” – route # 17. Follow route # 17 directly to the Ferry terminal. Allow at least fifty (50) minutes travelling time to the ferry terminal. You should arrive at least thirty (30) to forty (40) minutes prior to your sailing time especially during peak season when many ferries are completely booked.